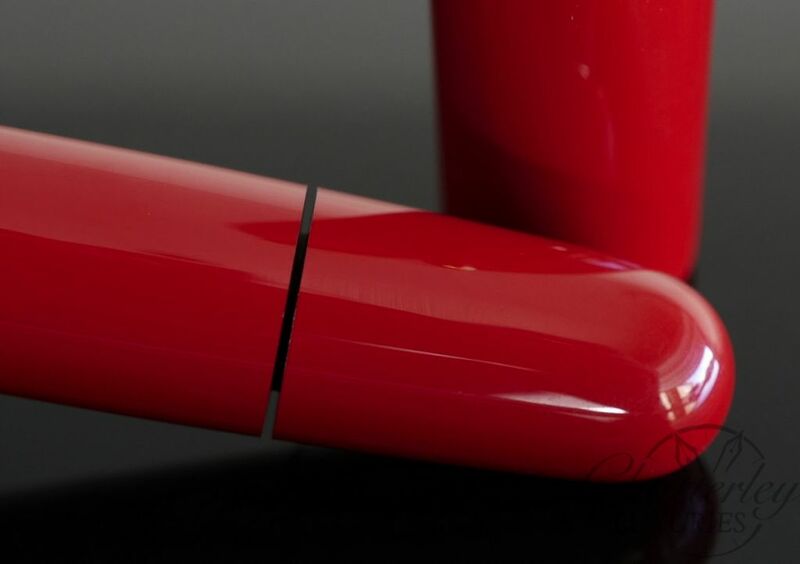 This pen is used. Its in excellent condition and has a Broad nib. 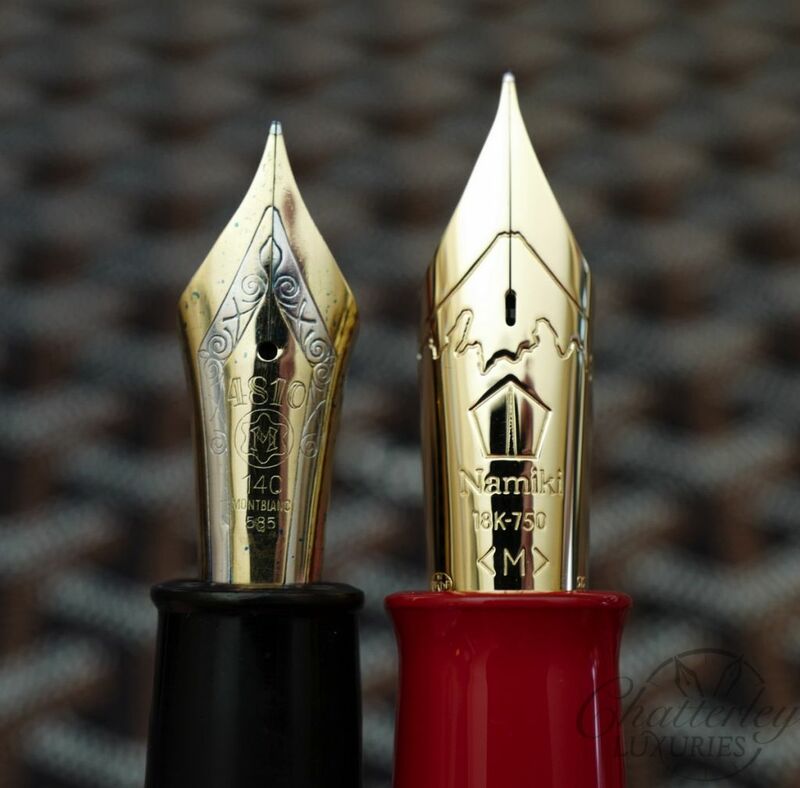 Below is a picture of the Large #50 nib compared to a Montblanc 149 nib. 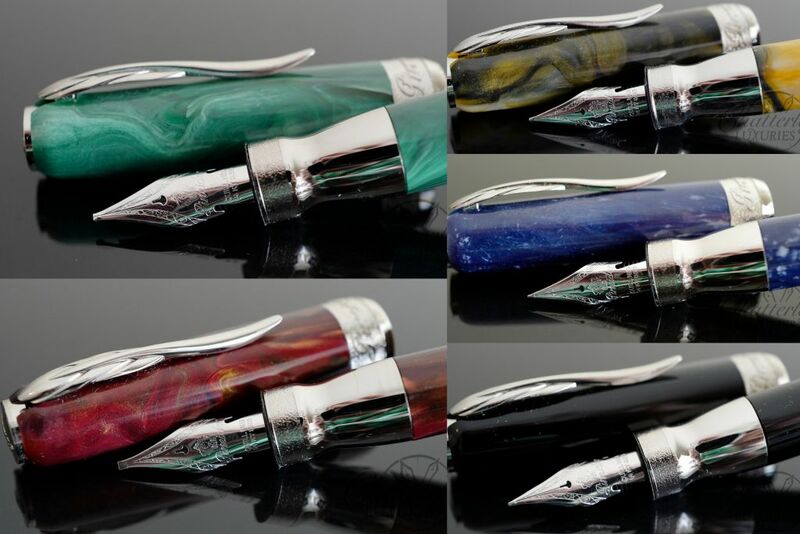 The Emperor Collection is Namiki’s highest ranking series. 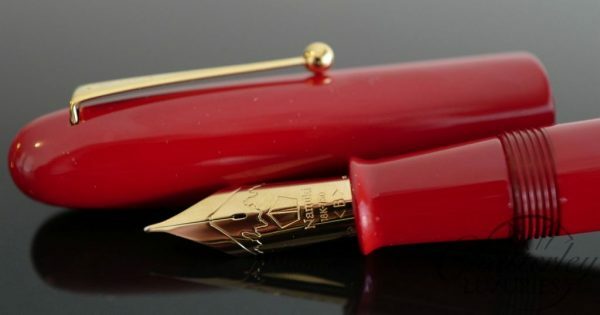 A size No.50 (Jumbo) 18k gold nib, the same size as the large Maki-e fountain pen created about 90 years ago, as well as possessing an ink stopping function and the body being shaped with ebonite. 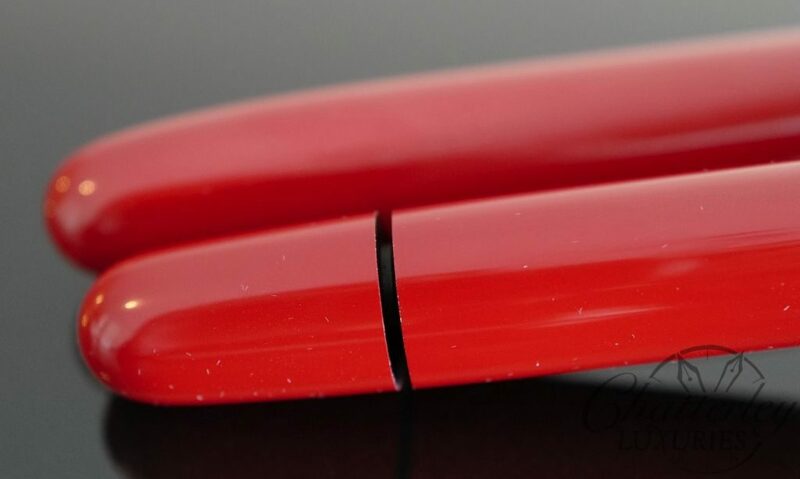 Simplicity and classic design are synonymous with this Red Urushi pen from Namiki. 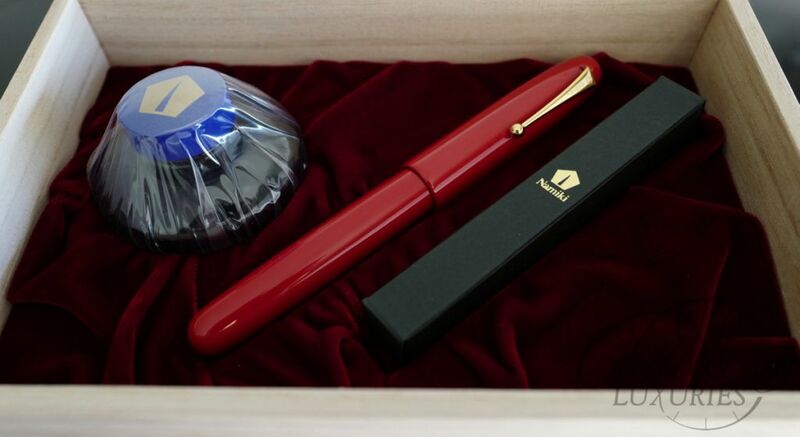 Featuring an emperor sized body, the writing instruments are decorated using multiple layers of Urushi lacquer. 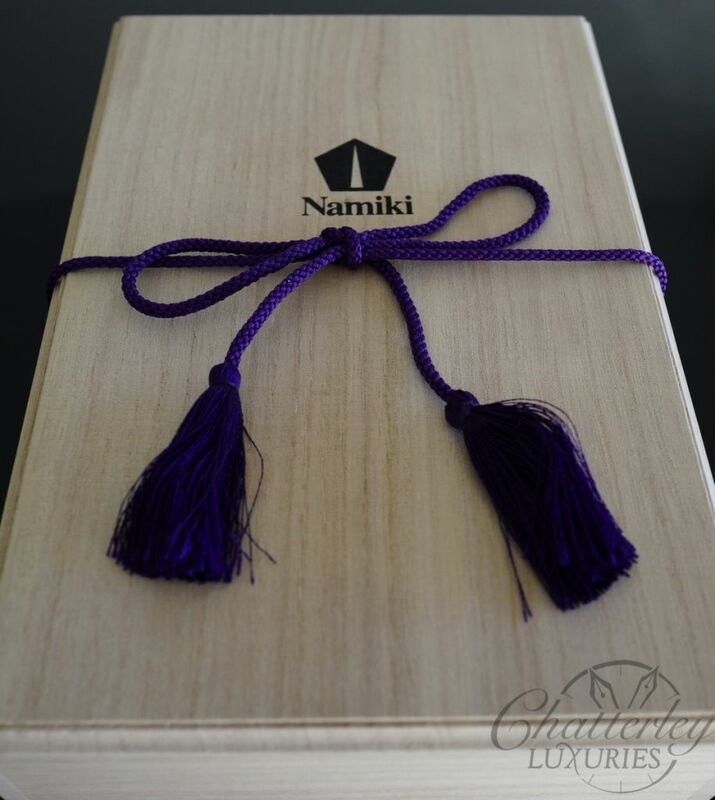 A traditional oriental wood gift box with bottled ink completes the stunning presentation. of skill and spirit inherited from their predecessors, and also the roots of PILOT. 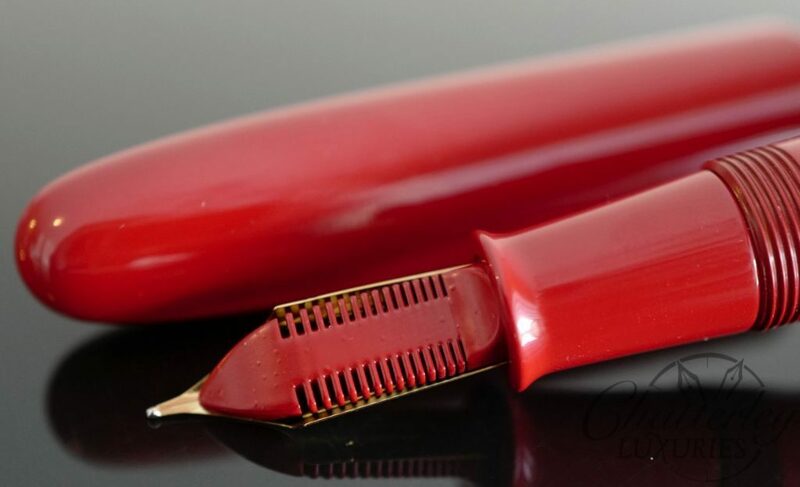 Over many years to the present day, they are one of the top brands in Maki-e fountain pens conveying Japanese traditional culture. Lacquering, drawing, sprinkling and polishing. In order to bring out a beautiful, fine Maki-e, these 4 processes are repeated many times over. 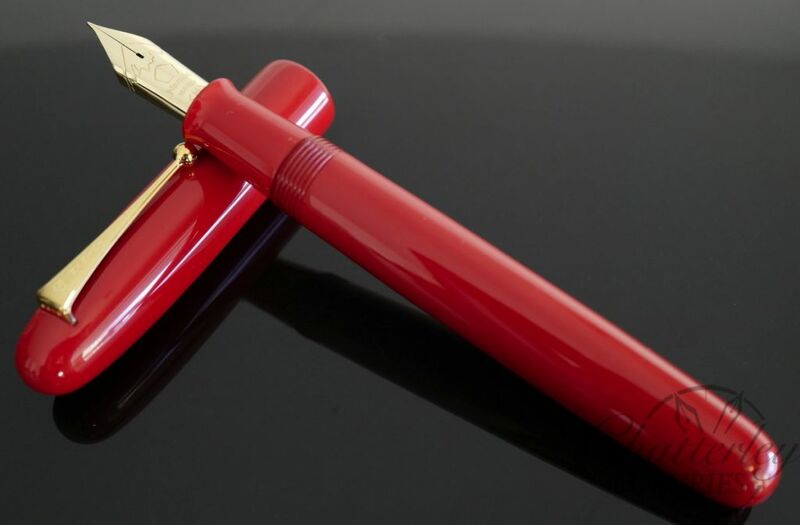 More than 3 months are required until completion, with some Maki-e fountain pens being completed after going through the process as much as 130 times. 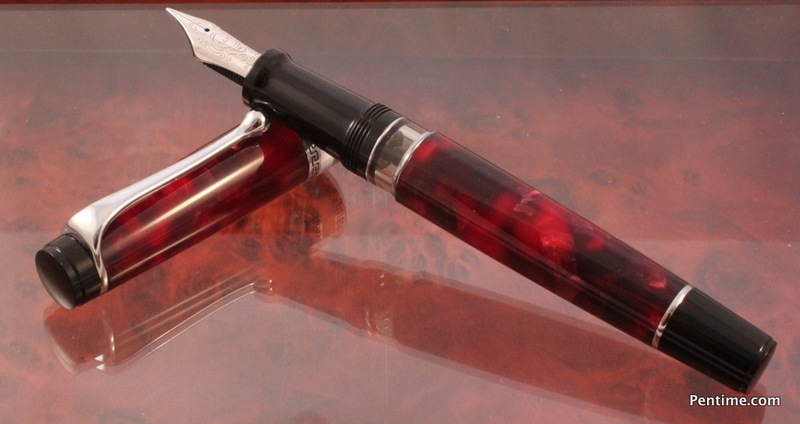 This pen employs an eyedropper filling system.